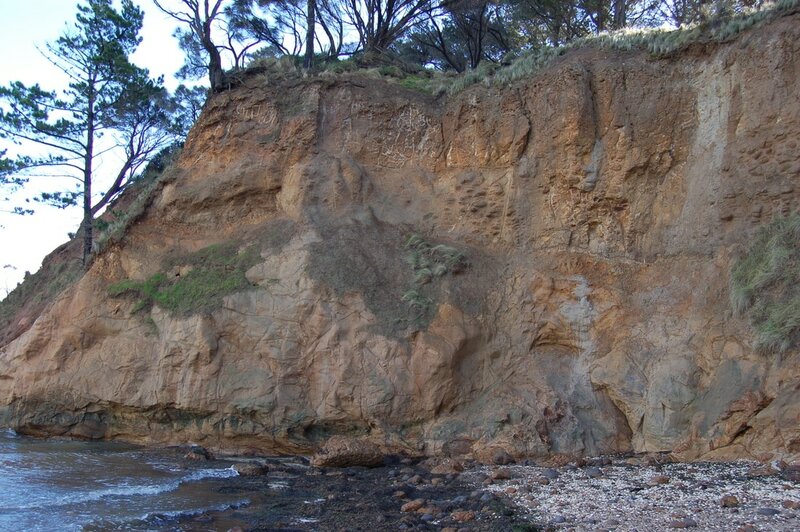 Four sites of geological formation of State significance exist within the reserve including the coastal cliff and shore platforms that were used to interpret Holocene sea level history. ​Older volcanic rock on the western coastline from Settlement point to Hughes St is considered to be a major example of deeply weathered older volcanic rock formation. Older volcanics lava and tuff are exposed on the cliff face and have friable red and yellow rock. The cliff is fronted by shore platform which are a less weathered volcanic rock. 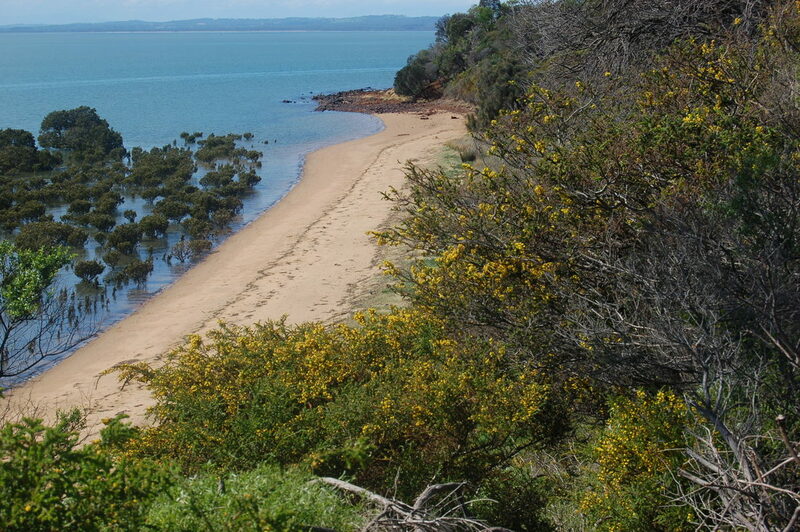 ​Southern sections of coastline are characterised by a low Holocene dune system fronted by a sandy beach. ​Along the Northern coast a mangrove fringe is regenerating in front of an early Holocene coastline which consists of bluffs and small sections of sandy beach. Indigenous plants are plants that grew naturally on the coastline of Corinella before European settlement, and have adapted to local conditions over thousands of years.​ Indigenous plants support the survival of local wildlife and helps conserve the unique beauty of natural coastal landscapes. 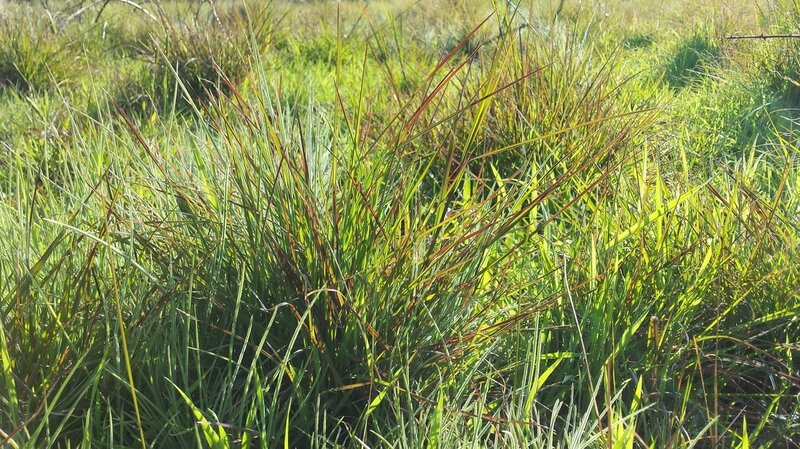 Kangaroo grass (Themeda triandra) has a striking burgundy-green foliage, high drought and heat tolerance, grows in a wide variety of soils and flowers December - January. 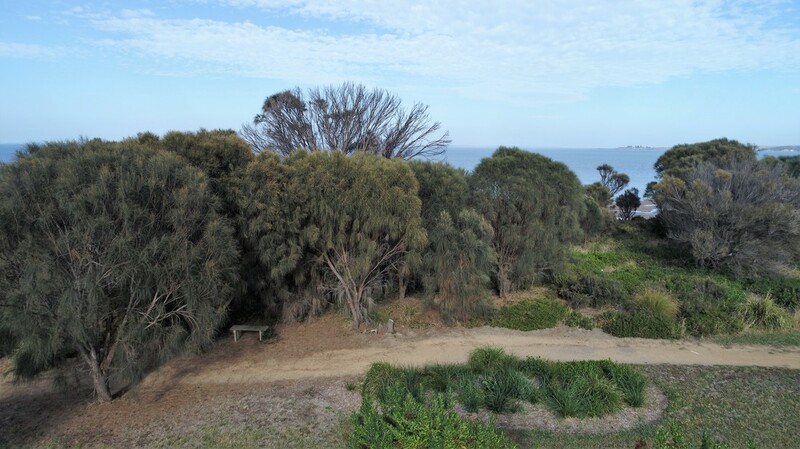 The Oval which is situated at Settlement Point is predominately native kangaroo grass. 99.5% of Victoria's grasslands have been destroyed reducing the once extensive native vegetation to small isolated remnants. 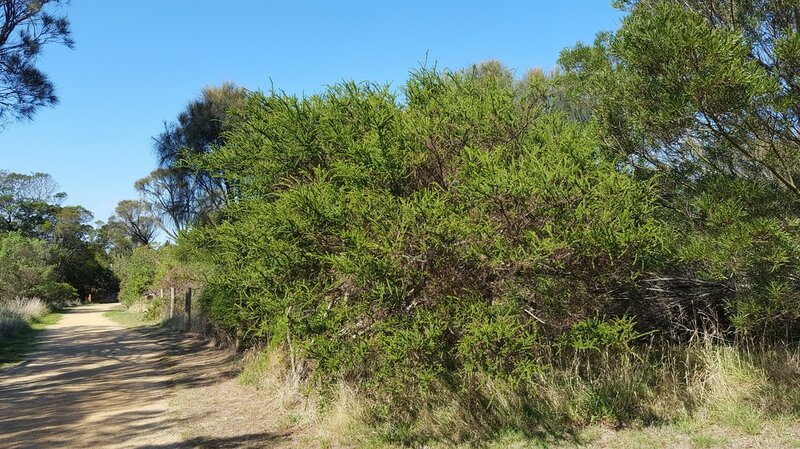 Hedge Wattle (Acadia paradoxa) Shrub or small spreading tree; rather untidy, intricately branching and armed with fine thorns. Flowers are deep golden-yellow with large globular heads. 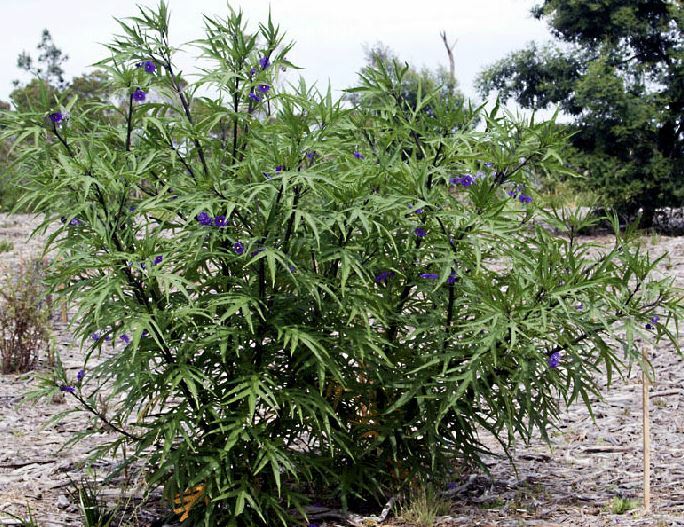 Small birds, including wrens, use this plant as shelter and dwelling, while it is relied upon as a food source for moths, butterflies and other insects, birds also feed on its seeds. Found all over the reserve providing a sea of yellow when it flowers during spring. 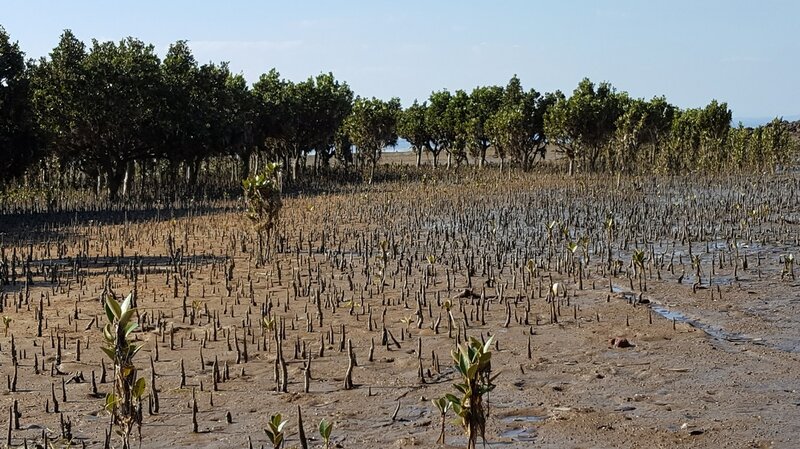 White Mangrove (Avicennia marina) Mangroves are small trees that usually grow in the area between the low and high tides. White Mangroves have a shallow but large lateral root system that spreads out from the trunk offering support in the soft sediment within which they grow. 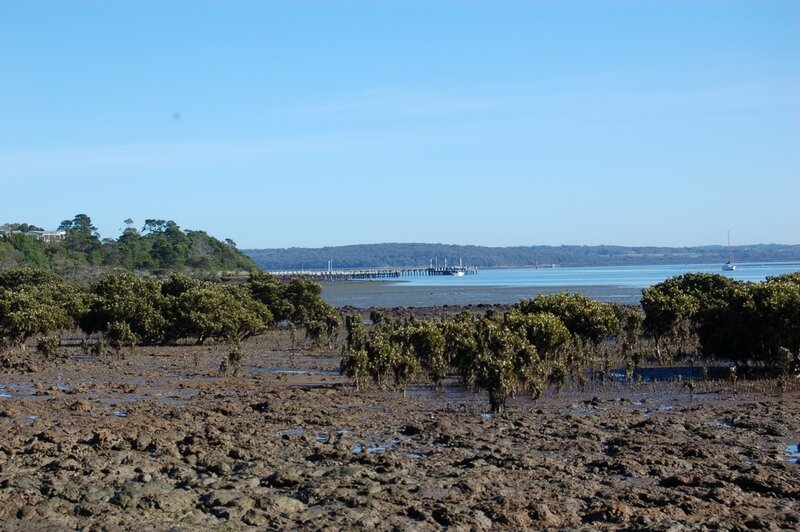 The plants obtain their oxygen at low tide at through "knees" (or pneumatophores) adapted for this purpose and are seen standing around the base of the trees. White mangroves on the northern shoreline of Corinella. 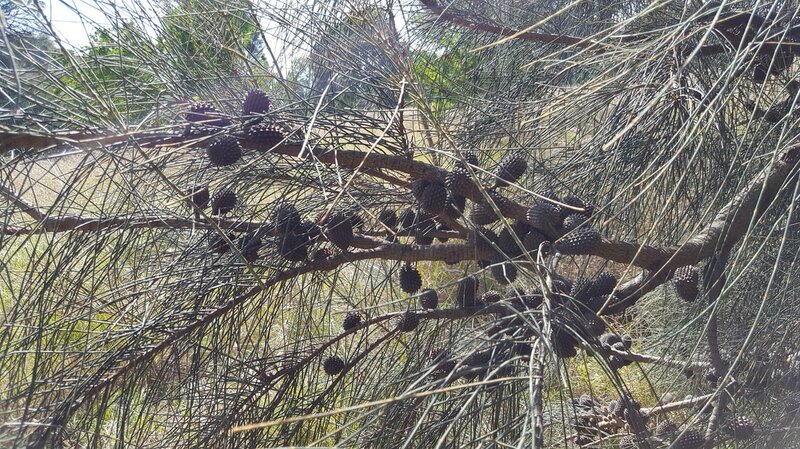 She-oak (Allocasuarina verticillata) Is a small upright evergreen tree growing up to a height of 10 metres growing with a rounded crown. ​The trees appear to have no leaves but there are tiny leaves at the ends of the drooping branchlets. This tree has separate male and female plants. Male have spectacular yellow-gold flowers and females red. Female trees can be identified by the oval cones on along the branches. 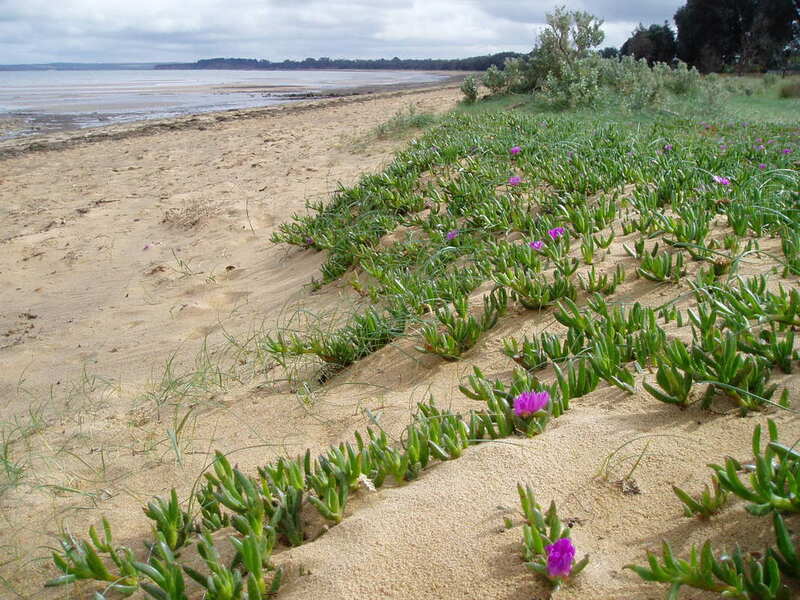 Common, especially in exposed situations, on well drained soils of coastal cliffs. 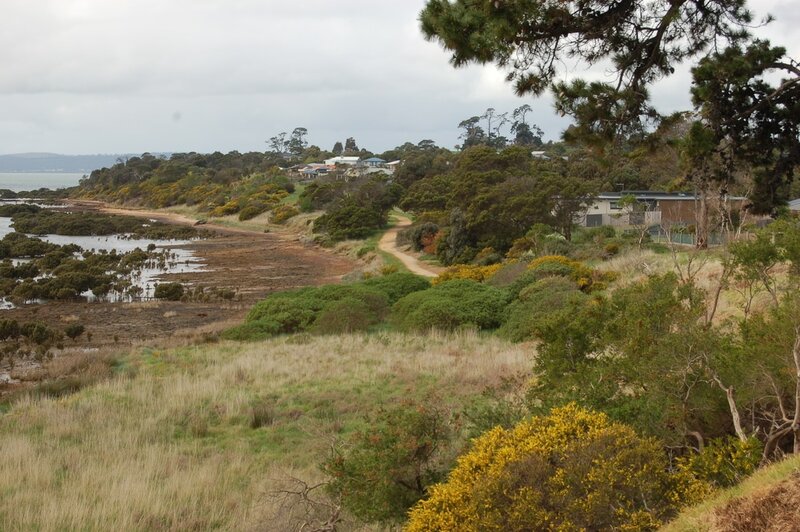 Corinella foreshore reserve has a variety native mammals, marsupials, birds and reptiles that exist on the reserve. 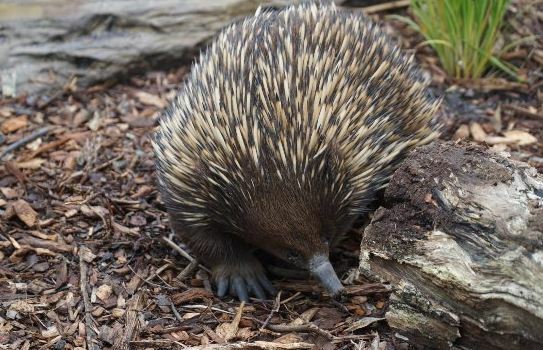 Wombats, echidnas and kangaroos can still be seen on rare occasions in areas such as the Settlement Point and Northern precincts. 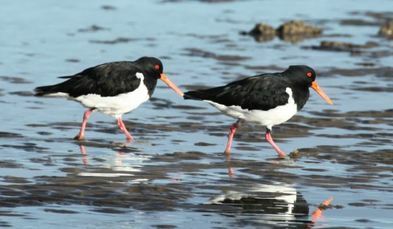 The reserve is home to many species of bird including shorebirds the most common being, egrets, cormorants and pied oyster catches. Many species are on the decline in the area due to predators such as domestic animals (dogs and cats) and the of loss of habitat. While the reserve is available for all to enjoy we request that people do not leave the designated walking tracks. 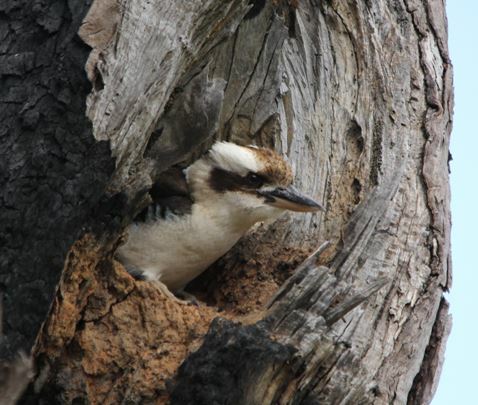 This will help to minimise the disturbance of the breeding and nesting of many species. It is important that community respect by-laws of the Bass Coast Shire Council. Penalties apply. Dogs must be on lead at all times on the reserve unless in the designated "Off Leash Area" accessible from Beach St. and O'Connor Rd. Cats as of April 10 2017 are under a night time containment order, sunset to sunrise as set out in the Domestic Animal Act 1994. 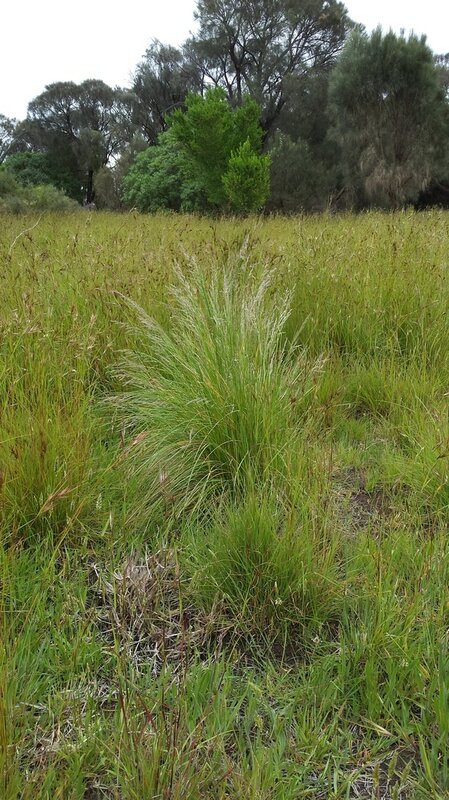 Native grasses on this reserve are important food sources for native animals and birds. Kangaroo, wallaby and wombats graze on native grasses all year round and birds eat the seeds in summer. 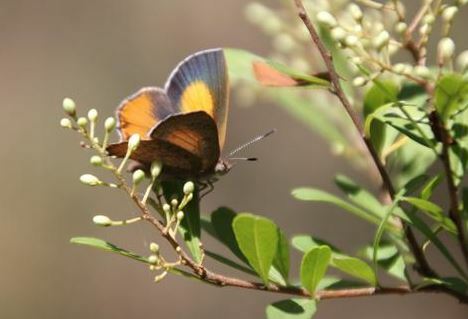 Butterflies and moths lay their eggs at the bases of native grasses and their caterpillars feed on the foliage. 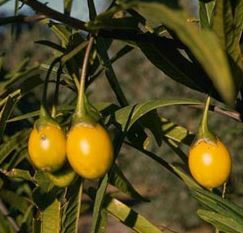 The fruit, foliage and seeds of trees, shrubs and ground cover plants are also important sources of food for native animals and birds. Flowers give nectar for birds, butterflies and insects, insects are in turn eaten by birds, reptiles and small mammals. 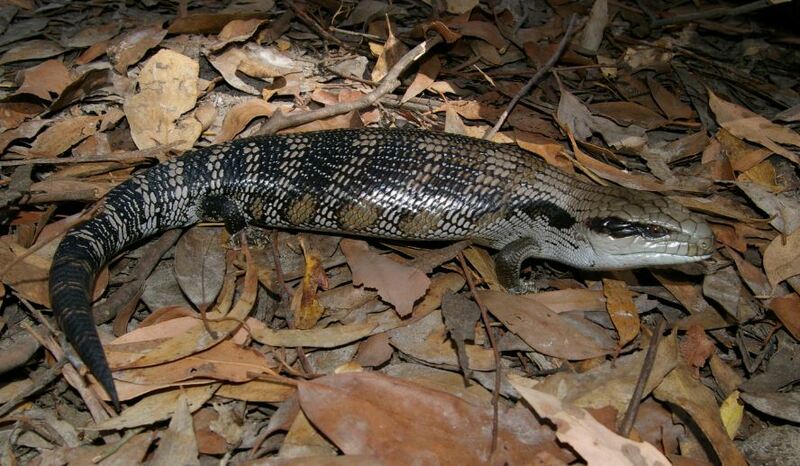 Leaf litter and branches on the ground are ideal habitats for skinks, frogs and lizards. 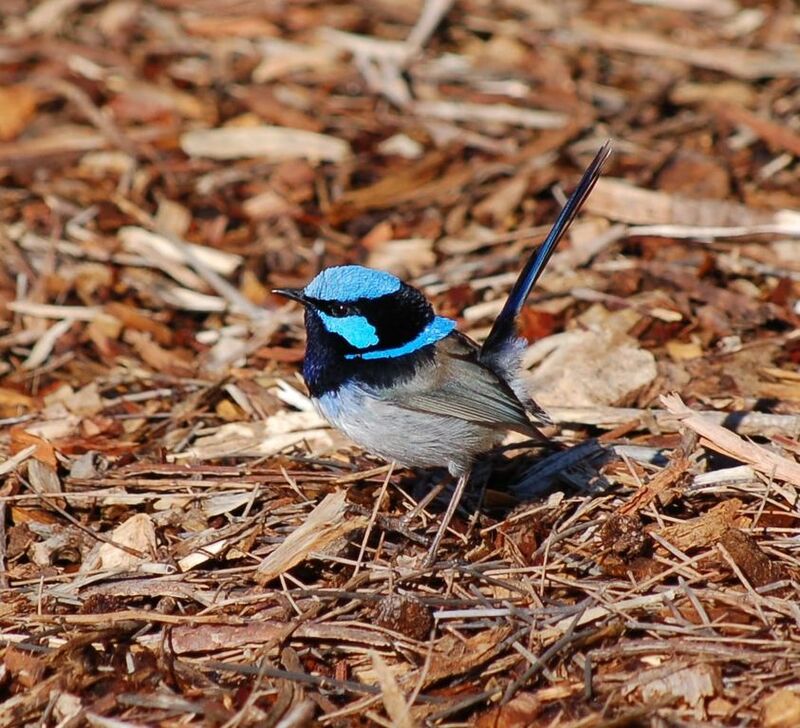 Grasses and prickly shrubs shelter small birds and ground-dwelling mammals from predators. In tall trees and shrub canopies birds find safe nesting sites. 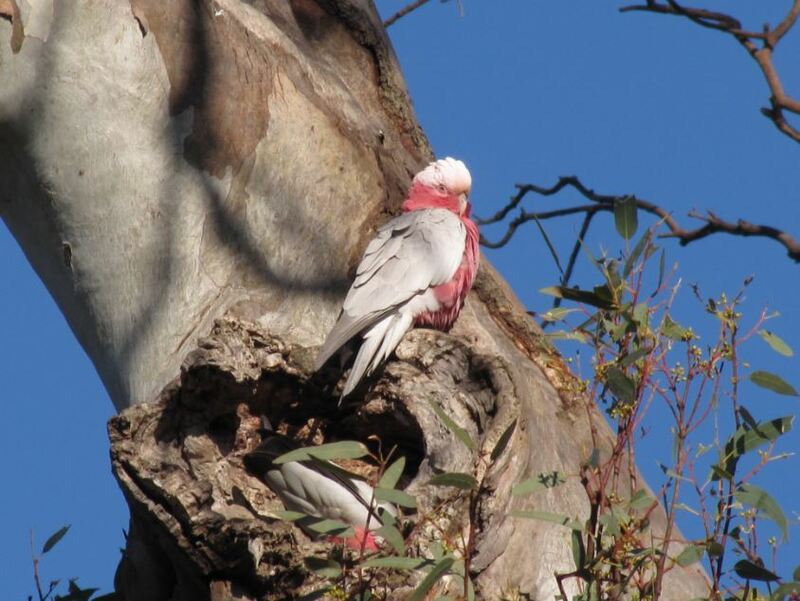 Tree hollows suitable for nesting take up to one hundred years or more to develop and are critical to the survival of many native wildlife species.Parrots including rosellas, owls and kookaburra rely on tree hollows to nest.